Panorama Education is a company providing data analysis solutions for K-12 to more than 4000 schools. By analyzing the feedback from various stakeholders, it helps schools in improving teaching, increasing student and parent engagement, attracting and retaining great teachers, and fostering a positive campus culture. Panorama Education provides an end to end solution right from design of surveys, administration, report, analysis and follow up. Apart form these, it also provides implementation consultation, technical assistance, and training to the client. As far as the value proposition is concerned, as predicted by most of the EdTech Surveys, learning analytics is going to hit it big in 2014. So Panorama Education is a right company at the right time. The point of differentiation for this venture is that it is built specifically for educators and is customizable district by district. It is the first to include all the stakeholders of a district on one integrated platform. A Yale Graduate in Political Science and Global Affairs in 2013. Aaron, who began to code from grade 4, also brings with him, extensive experience as a web developer and programmer in projects ranging from a desktop widget app for Google to album promotion for Madonna to a Facebook app for National Public Radio. Shocked by the fact that of his freshman class of 1600 students, only about 800 graduated, Aaron was motivated to find the reason for these problems in education. 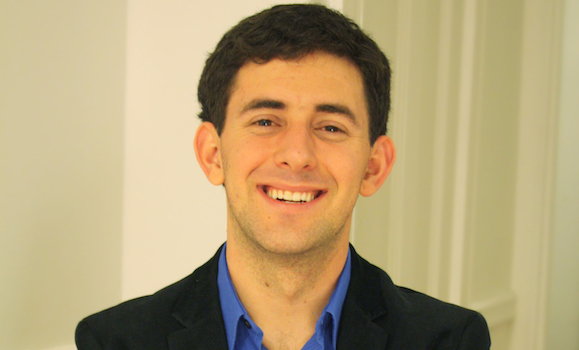 Aaron and his group received a $25,000 grant from the Yale Entrepreneurial Institute (YEI) and other Yale fellowships. They also received $25,000 grant from a YEI pitch competition to build a new analytical system which is now Panorama Education. He also served as the President of the California Association of Student Councils. His team seems to consist mostly of Yale graduates – with fellow Yale graduate – Xan Tanner and David Carel – also the co founder of the Venture, Jessica Cole (Winner of the Yale inventor Challenge) . Mark Zuckerberg also invested $4 million dollar in the Panorma Education – which is a big name to be associated with. Also Ashton Kutcher is one of the investors. The investor list includes people who have been part of many successful ventures like skype, Flipboard, Chegg so there is a good possibility that the venture does well. 2. Passion to solve a problem will take you a long way. 3. Having a hollistic understanding /vision and the right contacts are necessary.